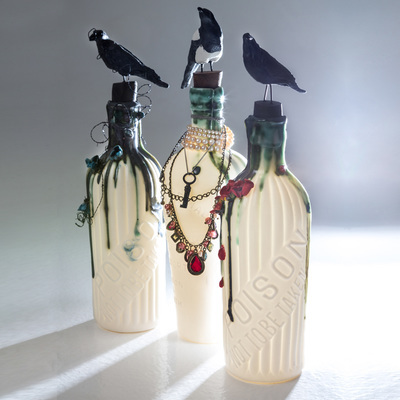 Drawing inspiration from her love of ravens, magpies, an interest in mythology and a passion for things that are a little on the dark side, Jillian has created a collection of bottles with a twist. 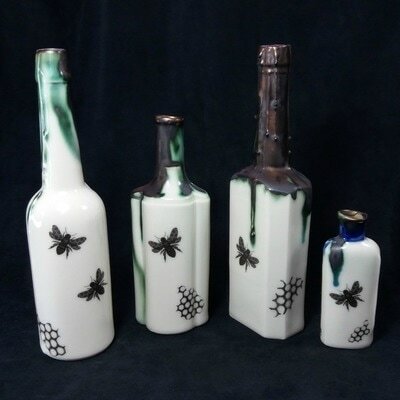 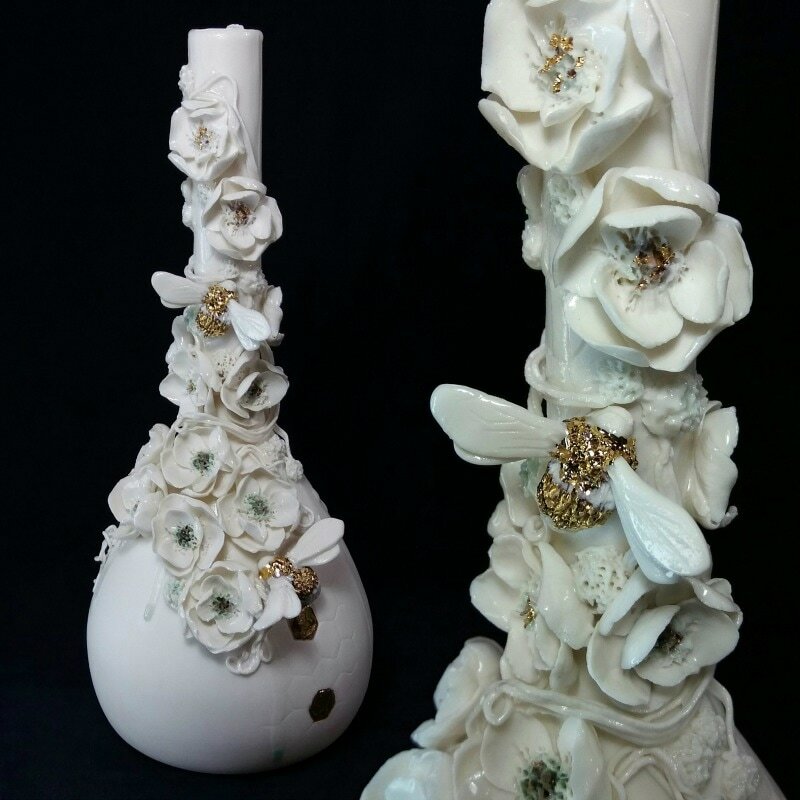 She takes old poison, scientific and apothecary bottles, make molds and slip cast them in parian and porcelain clay. 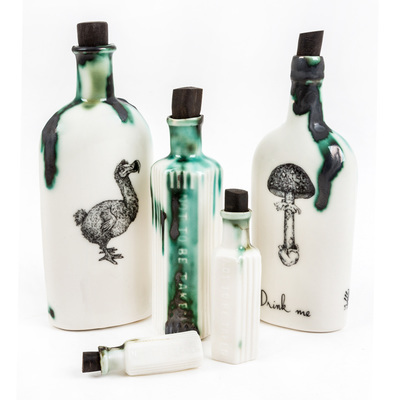 They may be decorated with oxides and waxes and her own pen and ink illustrations of ravens, crows, bats and bugs, and all manor of flora and fauna.....even the odd dodo! On some vessels Jillian uses reclaimed woods and hand turn stoppers to support individually sculpted porcelain birds. Each bottle will then be finished with either sterling silver, copper or re-purposed items making every piece totally unique.